Ava Nunez with Mayor Fischer. 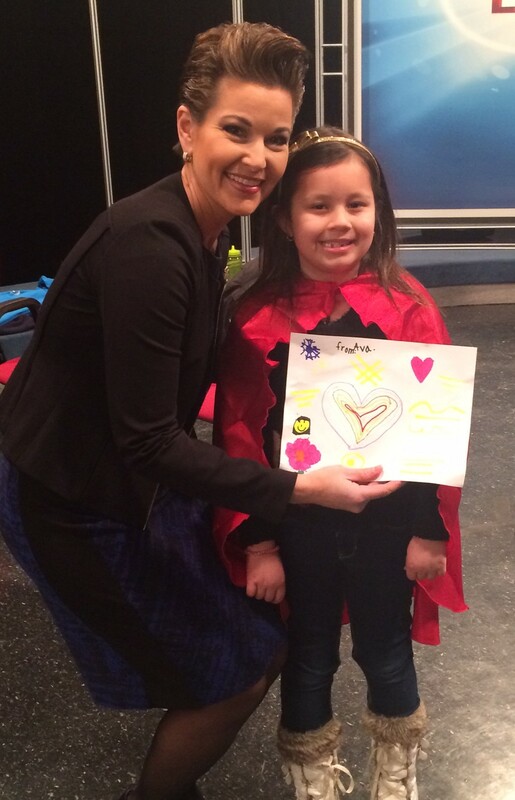 Ava with host Heather French Henry. 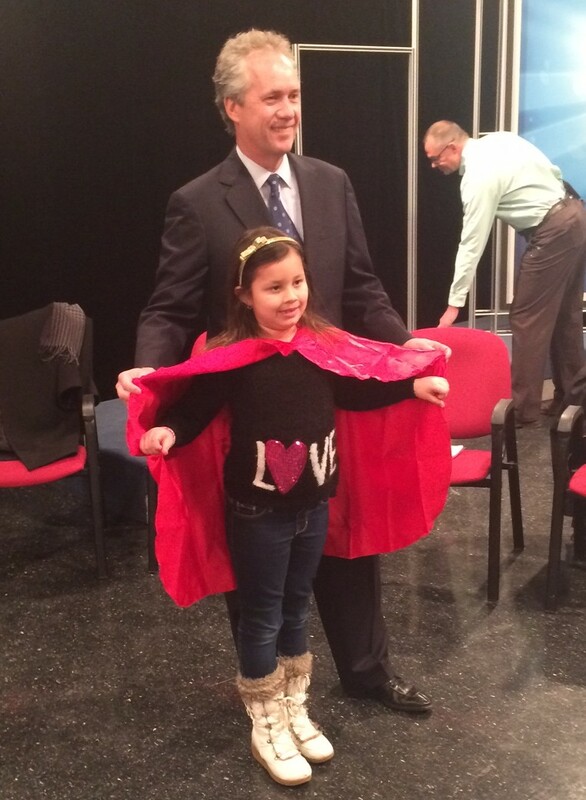 The first episode also includes a Global Game Changers of our very own superheroes, Ava Nunez. She is a student from Christian Academy – English Station’s YMCA of Greater Louisville afterschool program and has been vibrantly dedicated to the GGC mission to Ignite Good and serve others! Along with Miss Ava, this episode also includes GGC Executive Director Justin Walker and Chairman of the Board Jan Helson and our community partners – Steve Tarver, President/CEO of the YMCA of Greater Louisville and the Marcel Parent, Senior Director of Education, Outreach, and Curation at the Muhammad Ali Center. These partners have truly dedicated themselves to fulfilling the GGC mission of teaching the responsibility of compassion and kindness to our youth. The YMCA of Greater Louisville hosts the Global Game Changers program through their YMCA Childhood Enrichment Program (CEP) afterschool programs. Students are constantly excited to learn new ways to serve others and spread smiles, which wouldn’t be possible without the help of our YMCA site directors. They are constantly staying creative and engaging to inspire the children to become real life superheroes who fight for one another. The GGC partnership with the Muhammad Ali Center has kept our program thriving within the community by giving us the possibility to invite numerous families to the free Discover Your Superpower Event. Kids get the opportunity to discover their superpowers by meeting with over a dozen nonprofit partners who each host a fun station that explains what they do. We hope all kids and their parents will be able to attend this year’s event, which will be held on August 29th. The Muhammad Ali Center and the YMCA of Greater Louisville truly add to our city’s mission to be the most compassionate it can be! We are truly grateful to our partners for believing in the power, importance and beauty of compassion within our community. The series is hosted by Heather French Henry and is generously produced by WHAS TV. The series will launch its first episode this month and will air on Metro Louisville TV, Compassionate Louisville’s YouTube channel and the Global Game Changers YouTube channel. Check it out and keep on living compassionately, Louisville!